On the weekend was my Aunty's wedding and last night I hung out with my absolute best friends and watched the atrocious film 'Four Weddings and a Funeral'. Understandably tonight in my delirium I have weddings on the brain. As I lie here in my bed with my laptop on my knees, listening to the frogs croaking in puddles outside and writing this - I find it incredibly hard to imagine myself getting married. It just seems like such a foreign concept to me, something so far away and almost imaginary. It may be because I've never felt the strength of feeling for another that it would take to make this vow. It may be because I am still too young. If I ever miraculously find myself standing up there opposite some poor misguided fool in front of my very few friends and family saying: "I do" I'll be wearing red and laughing in disbelief. 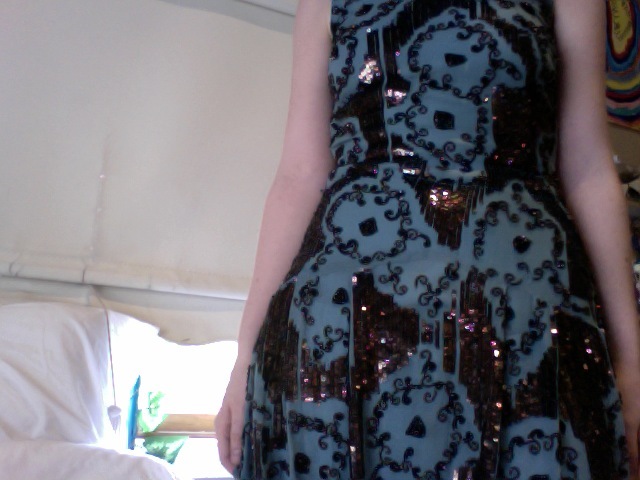 I wore this amazing sequined, drop waisted Alannah Hill dress to my Aunty's wedding. 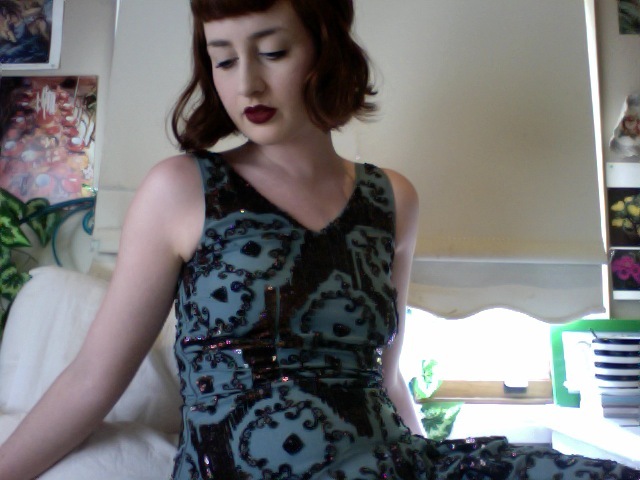 I was going for Midnight in Paris/1920s vibes.